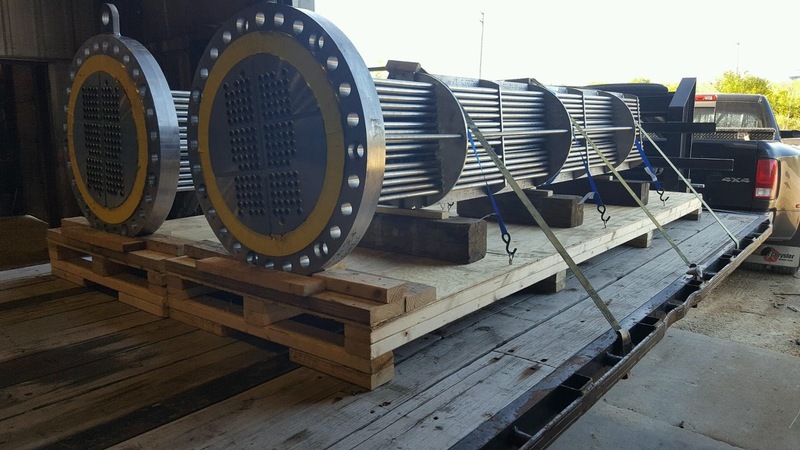 Three Replacement IGCC Process Tube Bundles. All Three Units Have Duplex 2205 Components. The Tube Bundles Were Packaged and Ready For Shipment From American Exchanger Servcies, Inc. (AM-EX) ON TIME and ON BUDGET. 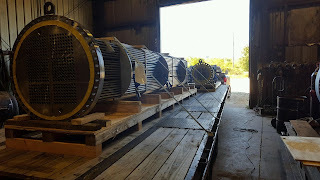 Shipment From AM-EX Facilities in Hartford Wisconsin. Contact AM-EX for details. These three replacement tube bundles have all duplex alloy 2205 components, duplex alloy 2205 U-Tubes, and welded tubejoints. Contact AM-EX for your replacement tube bundle requirements.